Elegant and very powerful. SOVEREIGN POWER. The gentleman amplifier that has everything under control. Leading with sovereignity, not being obtrusive. This device powers the most demanding loudspeakers and drives them to phonetic delicacies. The analytical capabilities of this amplifier, the carving out and the soulful rendition of the finest nuances, are already legendary. You will understand music - as it truly is. Beautiful and moving. Accept our invitation and let this amplifier inspire you. Our concessionaires and consultants will illustrate you the benefits of this amp in very much detail with pleasure. 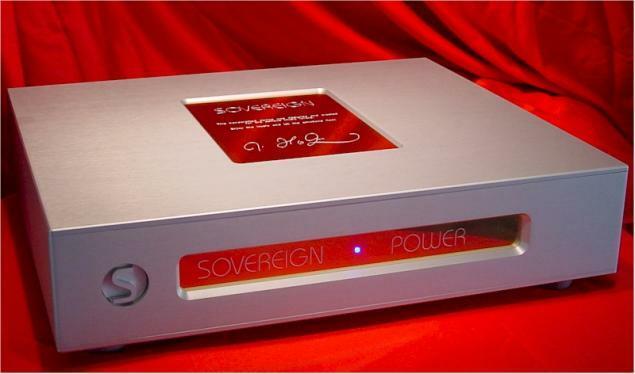 Enjoy a private presentation of this amplifier on your speakers and with your equipment. Have fun with it. The gentleman amplifier in the aesthetic suit of polished and brushed aluminum, the typical SOVEREIGN design. It is available in "sovereign-silver" and "night-shadow" (black). If you're interested in the technical details, we will gladly send you more information and a technical data sheet. Our SOVEREIGN price list is available as a PDF file for download. We want to wish you many hours of happiness and musical enjoyment with this gentleman's amplifier. Also about "High End Financing Service" you can contact us anytime. See you soon - in the circle of satisfied SOVEREIGN owners, friends and fans.